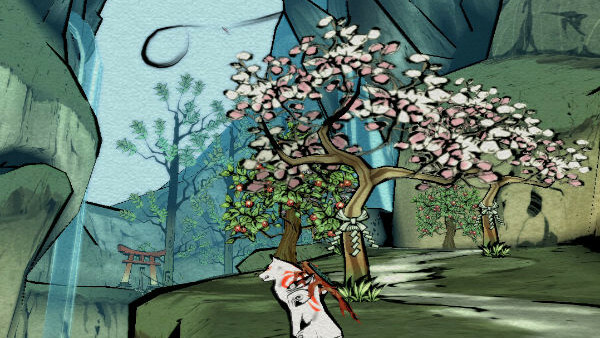 Initially a PS2 exclusive created to rival Zelda, Okami was an enthralling and visually stunning epic. Made by Clover Studios - a hub featuring an all-star team of Japanese developers - journalist praised its unique art style and gameplay while championing the upcoming release. Then it came out. Despite unanimous stellar reviews and awards, it moved only 600,000 discs worldwide by the end of 2006. It was a sad story for a great game, certainly there were flaws, that opening tutorial is a slog, as is the back-tracking third act. Still, one would be hard pressed to find a more daring yet satisfying AAA product. It provided a meaty adventure campaign whilst taking worthy risks with its painterly art style and unique combat system. It was a one-of-a-kind experience that many unfortunately missed. Luckily, a persistent fanbase managed to give this franchise legs over the years. A Wii and PS3 port with implemented motion controls came to fruition, as well as a recent remastered version for current gen. Unfortunately, a full-fledged console sequel never materialised, but the Nintendo DS did receive Okamiden, a low-key continuation.